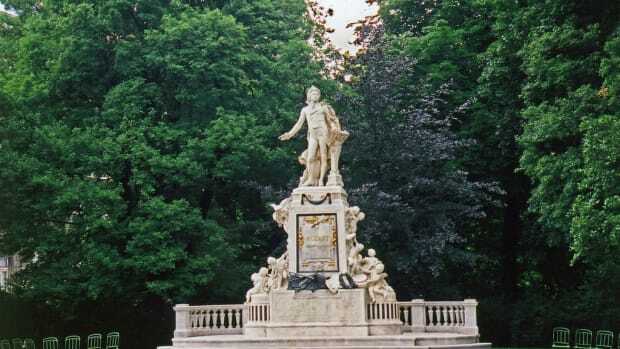 Since it entered the public consciousness in 1993, the “Mozart effect” — the notion that listening to the Austrian composer’s sublime music can boost brainpower, particularly in children — has spawned a small industry of books and CDs. But its reception among researchers has been anything but harmonious, with many expressing skepticism that a sonata could supply significant cerebral stimulation. Researchers from Royal Holloway (University of London) have tested a thesis that may explain why studies of this phenomenon have produced such inconsistent results. In a study just published in the journal Psychology of Music, they conclude that listening to Mozart can indeed spark a certain type of intelligence, but the effect is limited to non-musicians. The reason, it appears, has to do with the different ways musicians and non-musicians process music in the brain. The term “Mozart effect” can be traced back to a 1993 study, in which a research team led by Frances Rauscher reported that a group of college students outperformed their peers on a test measuring a specific kind of spatial intelligence after listening to one of the Austrian composer’s works: The Sonata for Two Pianos, K. 448. The test subjects were asked to mentally unfold a piece of paper that had been folded over several times and then cut. Those who listened to Mozart were able to identify the correct shape of the unfolded paper more quickly than those who had sat in silence for 10 minutes, or those who had listened to a tape of relaxing sounds. In the years since, “several studies have found evidence for an enhancement in spatial cognitive abilities after listening to Mozart, but several other studies have failed to replicate the results,” reports the researchers, led by psychologist Afshin Aheadi. They gathered a group of 100 university students — 50 musicians and 50 non-musicians — and had them listen to the same sonata used in the seminal 1993 study. The participants then performed a “mental rotation task,” in which they looked at drawings and were asked questions that required them to rotate the images in their minds. The results: “Listening to Mozart benefited the non-musicians, but not the musicians,” the researchers report. In part, this is due to the fact that “musicians were more proficient than non-musicians at the mental rotation task” in practice trials before they began listening to the sonata. “This result is wholly consistent with past literature showing that early musical training leads to gains in intellectual abilities,” they said. But if the spatial processing skills of non-musicians were boosted by listening to the music, why didn’t that hold true for the musicians as well? Even if they had a head start over the non-musicians, why didn’t they leap even further ahead? The researchers note that trained musicians “tend to process music in both hemispheres,” while non-musicians tend to process it in exclusively in the right hemisphere — the same part of the brain where spatial processing takes part. So the non-musicians got a particularly large jolt of stimulation in the precise part of the brain they needed for the test. 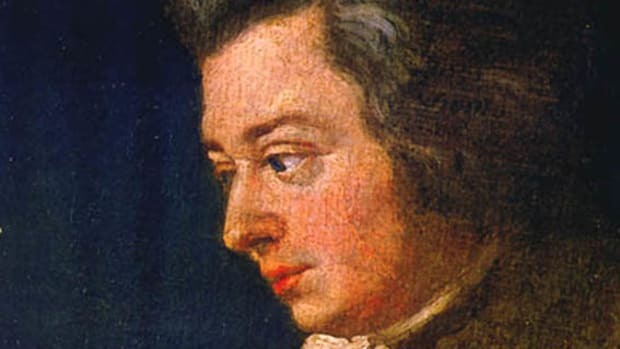 Also on that topic, the scholars reason “it may be that musicians are more likely to be interested in the Mozart effect and thus more likely to volunteer for experiments to examine it.” Their results suggest that if the pool of test subjects for some prior experiments were dominated by musicians, it is not surprising that the Mozart effect failed to register. They add one other caveat regarding the new study: The participants were all right-handed. The scholars note that left-handed people “tend towards much more bilateral processing” in the brain, meaning the Mozart effect may have less of an impact on them. So for at least one sizable segment of society — right-handed non-musicians — the Mozart effect appears to be real. Ironically, the composer was not only a musician, but also, by most reports, left-handed. So Mozart would have been immune to his own effect. French researchers report music therapy can improve the mood of people suffering from severe Alzheimer’s disease.